Carbonated water, citric acid, natural & artificial flavor, sodium benzoate, potassium sorbate, sucralose, caramel color, FD&C yellow 6, FD&C blue 1. High Performance Drink to energize your day! 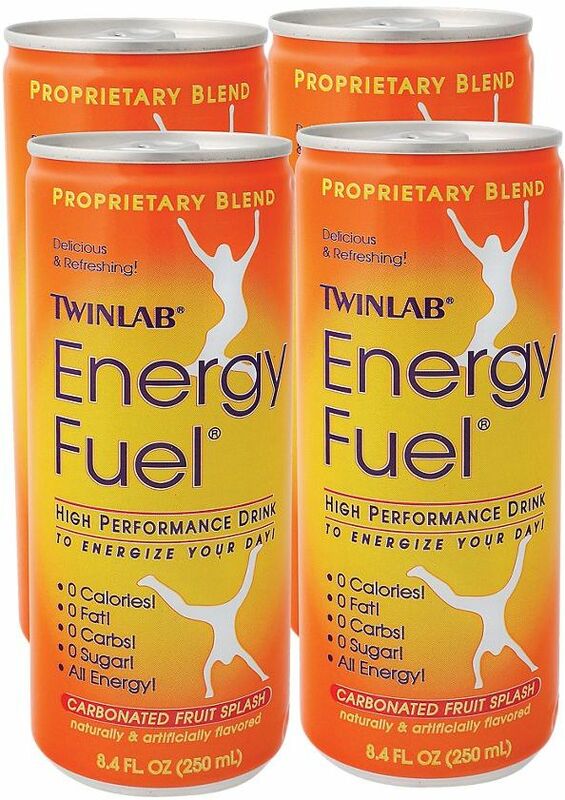 Twinlab's Energy Fuel carbonated drink is not only full of fantastic fruit flavor, but it helps you get the extra energy you need for your demanding high performance lifestyle, without the guilt of calories, carbs, fat and sugar! This herbal formula provides thirst-quenching fuel for when you start to run out of energy. Zero Calories, Zero Fat, Zero Carbs, Zero Sugars, 100% Energy. 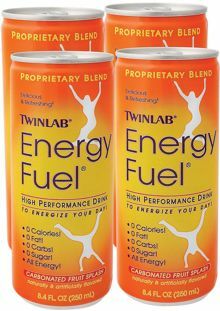 This is the energy enhancing drink done the Twinlab way, with no calories, fat, carbs and sugar. Refreshingly carbonated, this performance-enhancing beverage fuels your active lifestyle without the guilt.